HLS makes the video streaming faster and smoother. The audiences receive the best video quality at any moment. This reduces buffering and stuttering. HLS, or “HTTP Live Streaming”, is a video streaming format that breaks streams into a sequence of small HTTP-based file downloads, thus making video streaming faster and smoother. It’s now a widely-supported format for viewing streams in almost real time. HLS provides mechanisms for players to adapt to unreliable network conditions without causing user-visible playback stalling. For example, on an unreliable wireless network, HLS allows the player to use a lower quality video, thus reducing bandwidth usage. 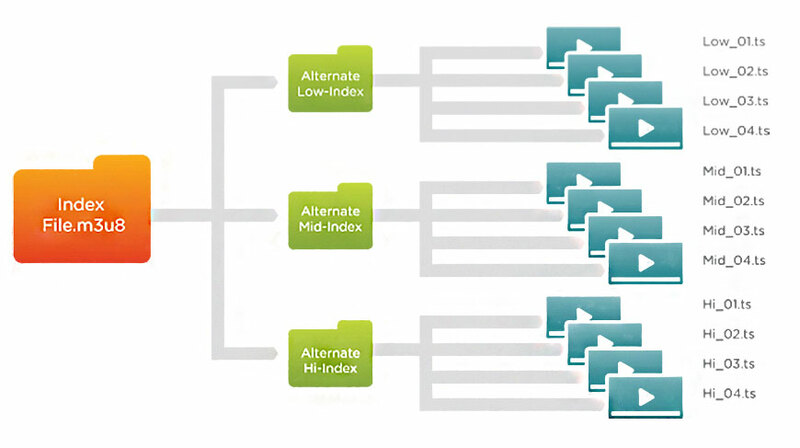 HLS videos have higher reliability by providing multiple servers for the same video, allowing the player to swap seamlessly if one of the servers fails. HLS also allows the client to choose among stream alternates dynamically as the network bandwidth changes, providing the best stream as the device moves between cellular and WiFi connections, for example, or between 3G and EDGE connections. This is a significant advantage over progressive downloading. It is strongly recommended that you use HLS to deliver video to all cellular-capable devices, even for video on demand, so that your viewers have the best experience possible under changing conditions. 1. Get the app (select a podcast channel if you have multiple channels).